There is a $5 admission charge for all spectators to enter the Grand Park Event Center (Ages 13 and up). All rosters will be "open" with unlimited guest players. All players must have the same player pass ( US Youth Soccer or US Club Soccer). The event is limited to 50 teams. * based on a roster size of 15 players the average cost is $80 per player. All matches are played "indoor" on the full fields (120x80) in the Grand Park Event Center. This event for all teams who are playing in their respective state leagues and do not participate in state cup. If you are looking for an Elite event please click here. in one day (165 minutes of play or 2 full games). Champions and Finalists will be declared. Best Complex in the Midwest! 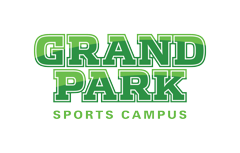 All soccer matches are played at Grand Park, Westfield, IN. Grand Park in Westfield, Indiana, is a destination like no other. The thoughtfully designed 400-acre Grand Park Sports Campus features 26 baseball and softball diamonds, 31 multipurpose fields for soccer, football, rugby, field hockey and lacrosse as well as two indoor facilities to accommodate year-round play for a variety of sports. What makes a town great? World-class shopping? Outstanding cultural opportunities? Proximity to the outdoors? Hamilton County and its 8 Great Towns offer all of this and more. Each town possesses its own distinct personality, from the historical allure of Fishers, Indiana (with Conner Prairie) to the shopper's paradise in Carmel, Indiana. Combine that with easy access to major interstates like I-69 and I-465, and you have destination that's unlike anyplace else.